MAY 26, 1863 - JULY 3, 1863. As a result of the second attack, May 22, Gen. Grant decided that Vicksburg could not be taken by frontal assault and decided to lay siege to the city. Methodically, his army constructed a line of works around Vicksburg cutting it off from supplies and contact with the outside world. On May 26, they began building thirteen approaches aimed at different points along the Confederate line. The objective was to dig a tunnel under the Confederate line and then destroy it with charges of black powder , allowing the Union forces to breach the defenses. Around the end of June, Grant's forces, protected by artillery and sharpshooters, neared their objectives. Along the Jackson Road, a mine was detonated beneath the Third Louisiana Redan on June 25. Union forces charged into the crater attempting to break through the breach. After approximately 26 hours of grim hand-to-hand combat, the Federals were finally driven back and the breach sealed. 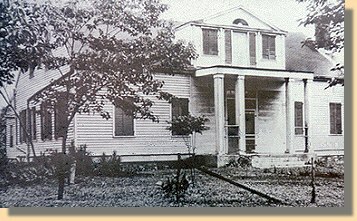 This house is the only surviving wartime structure in the Vicksburg National Military Park. 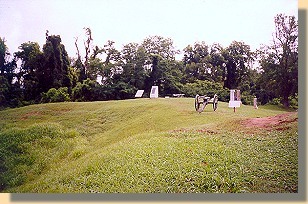 On May 26, 1863, Union forces started digging an approach to the 3rd Louisiana Redan from nearby. 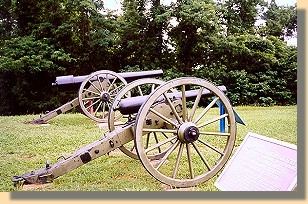 Several days later, the Confederates opened fire on the workers with a cannon mounted in the redan. 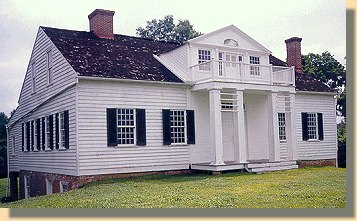 The Yankees countered with artillery of the "White House Battery" named after this house. On July 1, a second mine was detonated but not followed by an infantry assault. Throughout June the gallant defenders of Vicksburg suffered; under the bombardment of enemy guns; from reduced rations; and exposure to the elements. Reduced in number by sickness and battle casualties, the garrison of Vicksburg was spread dangerously thin. Soldiers and citizens alike began to despair that relief would ever come. At Jackson, C.S.A. General Johnston gathered a relief force which set out for Vicksburg on July 1. But by then it was too late to stop the fall of the city. With the loss of Pemberton's army and the vital Mississippi stronghold at Vicksburg, the Confederacy was effectively split in half. Grant's success boosted his reputation, and lead ultimately to his appointment as General-in-Chief of the Union armies.